Wang Tzu Wei and compatriots Lee/Lee both forsook their home Grand Prix event and in the Netherlands, the each picked up a second career title. Almost exactly a year ago, Wang Tzu Wei (pictured) played his home Grand Prix event, the Chinese Taipei Masters, and he was thwarted in the final by former Olympic bronze medallist Sony Dwi Kuncoro. 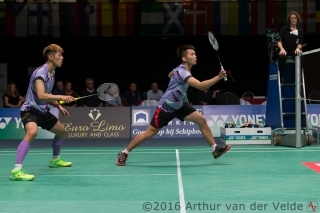 This year, while that event was going on in his hometown, Wang and several of his compatriots travelled much further afield and struck gold in Almere at the Dutch Open. 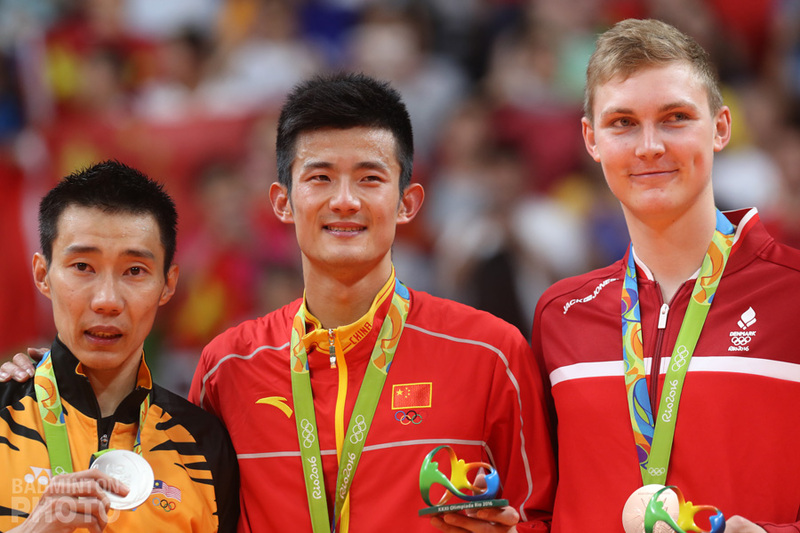 In 2014, Wang Tzu Wei won the New Zealand Open at age 19, becoming only the second shuttler since Lin Dan to win a Grand Prix men’s singles title while still a teenager. 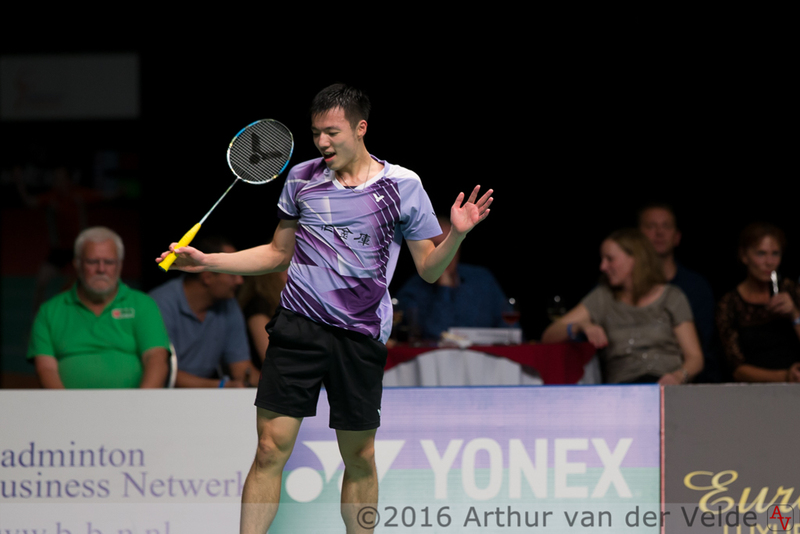 He has had two more shots at titles since then but Sunday in Almere was the time he found the magic. Wang beat defending champion Ajay Jayaram in three games to add a second Grand Prix title to his still new collection. 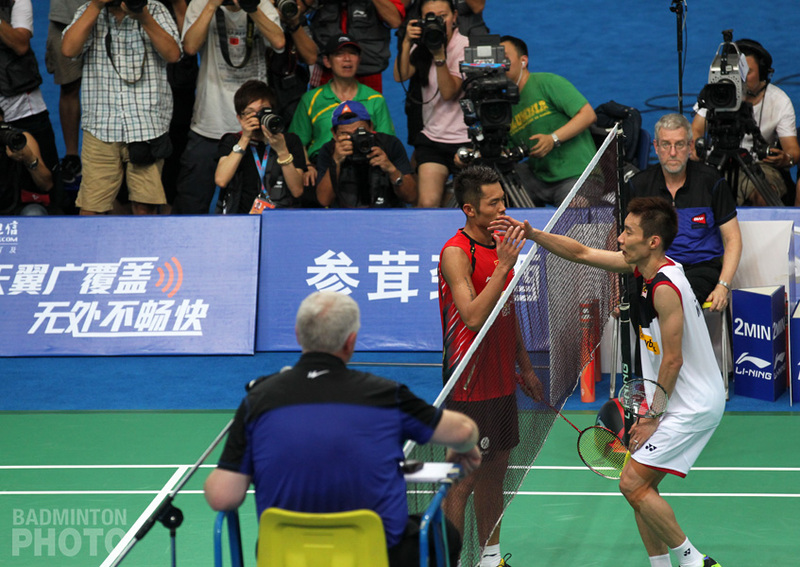 Wang’s compatriot Hsu Ya Ching was unable to make it a singles lock for the Taiwan team. 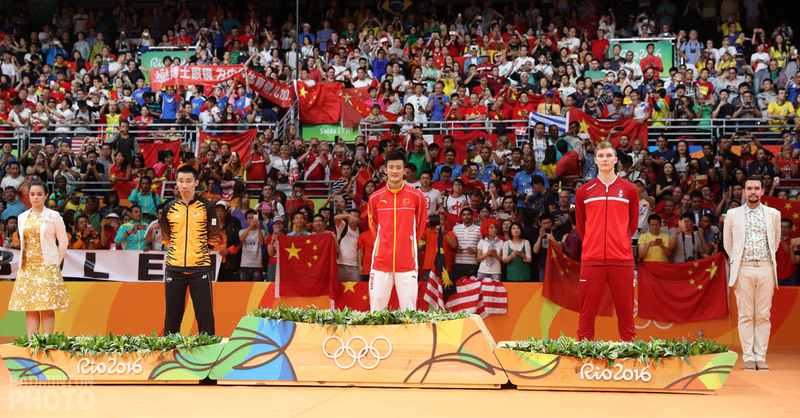 She was beaten by Zhang Beiwen of the United States, who thus won back the title she got here in 2014 but was not on hand to defend last year. 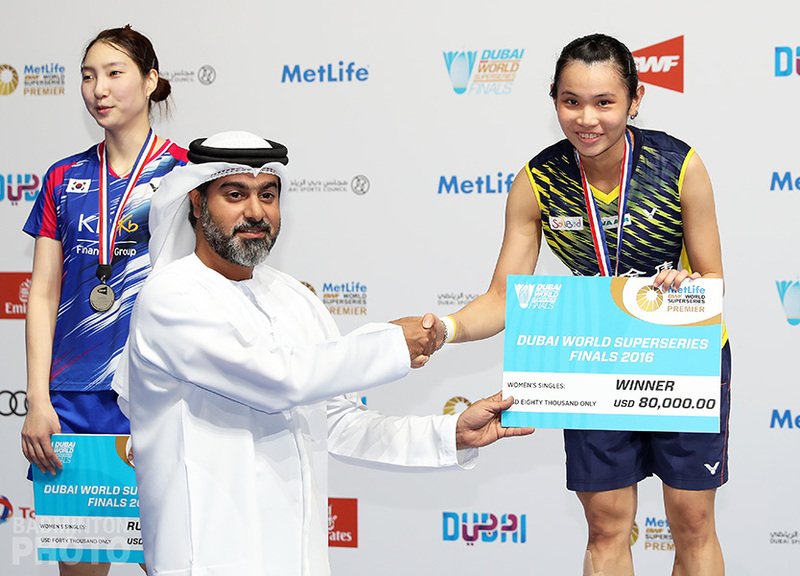 Late in the day, though, Chinese Taipei’s Lee Jhe-Huei and Lee Yang (pictured) took their second Grand Prix title of 2016 and their career. 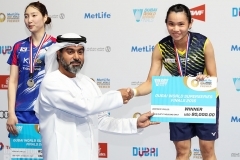 It was actually their third final in three months, as they won the Vietnam Open in July, were runners-up at the World University Badminton Championships in September, and then on Sunday took another title. They beat 2014 Scottish Open champions Mathias Christiansen / David Daugaard in two games of 21-17. Mathias Christiansen did manage to pick up his own second career Grand Prix title in the opening match of the afternoon. It was his first ever collaboration with Sara Thygesen (pictured below). Thygesen had a successful mixed partnership with Niclas Nohr. 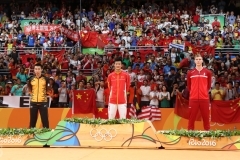 Together they won gold at last year’s European Games in Baku, then were runners-up at this year’s European Championships, beating Christiansen and partner Lena Grebak in the semi-finals. 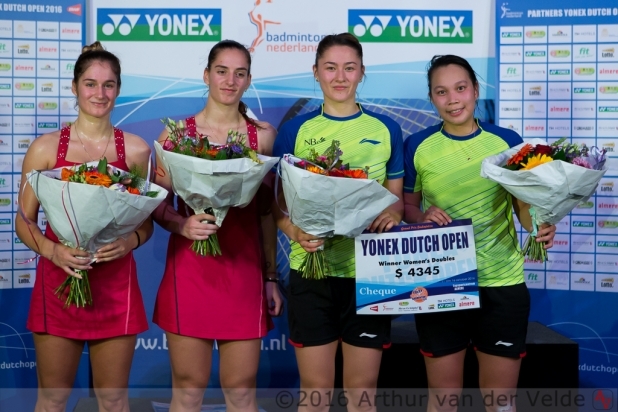 On Sunday in Almere, the erstwhile opponents joined forces and actually had to get past Thygesen’s women’s doubles partner Maiken Fruergaard to win the Dutch Open title. 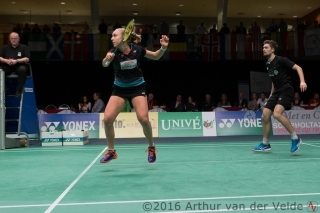 Gravholt and Fruergaard succeeded in saving three match points in the second game but after forcing the deciding game, they never got the lead and had to bow in three. Unliked fellow Baku gold medallist Thygesen, Bulgaria’s sisters Gabriela and Stefani Stoeva were unable to find their way to a title. Instead, Australia’s Setyana Mapasa and Gronya Somerville (pictured bottom) picked up their second Grand Prix title, adding to the one they won in Canada this past summer. 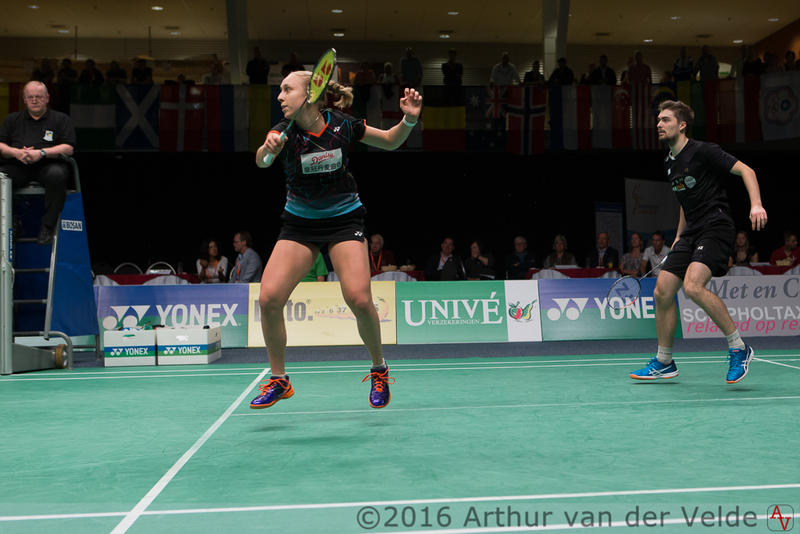 All of the Dutch Open finalists will be in action this week at the Denmark Open. Of these, Mapasa/Somerville and Christiansen/Daugaard have the toughest openers, as each will face the top seeds in their respective disciplines.